Remember this is the guy who didn’t play basketball in high school. When he joined Antelope Valley College, he had no idea the difference between Division 1 college basketball and NAIA basketball. He had no bad basketball habits at all, in fact, no basketball habits period. A clean slate. A body not beaten by many years of early basketball trauma. Playing behind Pau Gasol, he soaked up more and more basketball savvy…and then Pau went down with a serious hand injury, Dewayne stepped in and WOW! He exploded! So what did Dedmon’s head coach say about his last game? Dewayne Dedmon had 17 points and 17 rebounds, both season highs, in the win over Detroit. Dedmon is filling in for center Pau Gasol, who is out with a broken finger on his left hand. “He (Dedmon) hit the boards hard, he ran the floor, his energy, his aggressiveness, his defense — he was fantastic in that regard,” Spurs coach Gregg Popovich said. Dedmon has shown that he may be the kind of player that a team could build a winner around. Dewayne is 7’0, 255 and runs the floor like a wing and is a double-double man, what team wouldn’t want him? Add to that a grounded personality that allows him to come home every year and, along with his Mom and Sisters, puts on an all day basketball camp for the local kids at Antelope Valley College. He remembers his roots. 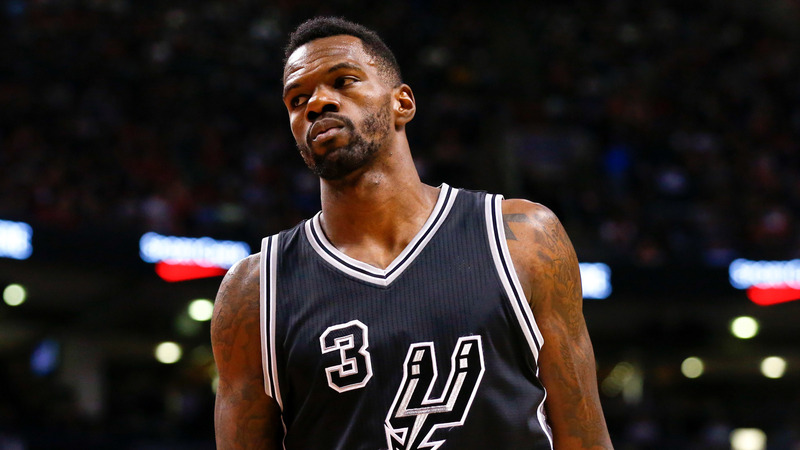 Next year, Dewayne Dedmon can become a free agent and his Spurs teammates are very nervous about losing Dewayne. The money that will be waved at Dedmon could be breath taking. One thing I am not worried about is Dewayne’s decision. It will be the right one. He has good common sense, is well grounded in what is important in life, along with this basketball skills. Should be a fun thing to watch. Another promising San Antonio Spurs role player has his teammates thinking deja vu. Dewayne Dedmon put up 17 points and 17 rebounds against the Detroit Pistons on Friday. That same Pistons team has signed big men Aron Baynes and Boban Marjanovic away from the Spurs the last two seasons, and point guard Tony Parker half expects Dedmon to be next. Parker is obviously kidding around, but Detroit may be done with Spurs imports. In fact, they might not be long for the organization anymore. That said, Dedmon can become a free agent during the summer, and don’t be surprised if he cashes in on that someplace. The 7-footer out of USC is averaging 9.8 points and 10.6 rebounds per game this month.